Mr. Lanre Odubote is a former Lagos lawmaker, who represented Epe Federal Constituency from 2011 to 2015 on the platform of the All Progressives Congress (APC). He speaks on the performance of Governor Akinwunmi Ambode and issues bordering on politics of Lagos State. Niyi Bello (Political Editor) and Seye Olumide, report. There seems to be a kind of confusion in Lagos politics for now. 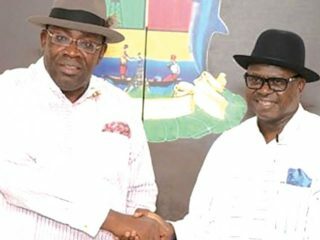 There is infighting in the ruling party while the major opposition Peoples Democratic Party (PDP) is also not settled, as 2019 is moving nearer. Lagos politics has always been dynamic and progressive in nature since the First Republic. Another interesting aspect of Lagos politics is it has been the only one opened to all the ethnic nationalities in the country to participate without fear. For instance, the Southeasterners in Lagos are today representing the state as lawmakers both in the House of Representatives and the State House of Assembly and there has never been any report that non-Yoruba lawmakers are intimidated or sidelined by anybody. 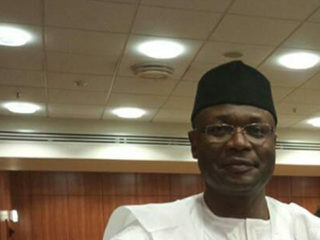 Another dynamic aspect of Lagos politics could be viewed from what happened in the 1992 governorship election when the electorate voted for the governorship candidate of the defunct National Republican Convention (NRC), Sir Micheal Otedola to register their displeasure over the crisis between the two major Social Democratic Party (SDP) governorship contenders, Chief Dapo Sarumi, then backed by the late Maj. Gen., Shehu Musa Yar’Adua and Prof. Femi Agbalajobi, sponsored by Alhaji Lateef Jakande. You will also recall what happened in 2015 when the electorate voted for a candidate of their choice who is on another platform in the presidential election and at the same time voted for the APC then Action Congress of Nigeria (ACN) in the governorship election. 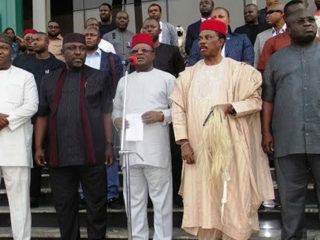 In the last National Assembly elections, not less than eight Igbo people were voted to represent the state in the House of Representatives and State House of Assembly. These are indices to say that Lagos politics is progressive in nature. There is fear APC may not come out strong as it did in the 2015 election due to perceived poor performance in the last two and a half years? I do not see any reason APC should be afraid of retaining the state in the next governorship election. But that does not mean that the party is not having its own challenges because in any political gatherings, it is not possible not to have divers opinions. True, the party might have challenges in some of the Southwest states but as for Lagos, I am bold go say that the performance of Governor Akinwunmi Ambode since 2015 is beyond what anybody could be looking for alternative in 2019. The budget performance is about 85 per cent from 2015 to 2017 and he has also put in place a strong revenue drive to the extent the 2018 budget N1.043 trillion, the first in the history of Lagos. There is an ongoing massive infrastructural development in the state as we speak. It is true some politicians are disgruntled among us but that is not to say any of them will want the opposition to take over the state in the next election. Whatever infighting we have now will definitely be resolved and our house will be put in order before the next election. I also want to say that there are three senatorial districts in Lagos. 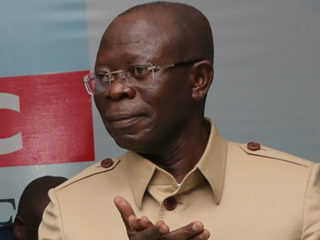 In 1999 Lagos West produced the governor in the person of Asiwaju Bola Ahmed Tinubu, who laid the foundation of the development, which his successors were building on. He used two terms. Immediate past governor, Mr. Babatunde Fashola came out from the central senatorial district and he also used two terms. What we in the Lagos East are now saying is that Governor Ambode, who is from the district, should also be allowed to complete two terms. And as a matter of fact, he has performed beyond expectation since 2015 when he emerged. The question I will also put to you is where is the opposition base that will challenge Ambode in the next governorship election? Is it the Peoples Democratic Party (PDP) or which of the other parties? I don’t see him having much challenge outside the party and as a family; Lagos APC is going to resolve its issues amicably. There is this talk in town that Ambode has shut politicians out, he is not funding the party and also accused of playing politics of vengeance, don’t you think this will work against him at the party level? I have said this and I will continue to say it that Governor Ambode has become a brand. He has become a brand to the APC because his performance is the product the party will sell to the nation in the next general election. Beyond that his performance is also a reflection of the developments in the country to the outside world. Why his case is even more surprising is that he was never a trained politician but a civil servant. He was a thorough breed from the local government to the state executive. All his training has been civil service training, which is like a military pattern where order from the top is followed. That aspect cannot be taken away from him and I want to be convinced that attitude helps a lot. But he has been going to town hall meetings to show his scorecard to the people he is governing and he is been applauded everywhere for a job well done. There is this slogan that what Tinubu did in eight years Fashola did it in four years and what Fashola did in eight years Ambode has replicated it in two years. That is the joy of Lagos politics. Look around Nigeria today, which of the 1999 set of governors have the kind of successors Tinubu had in Fashola and Ambode? 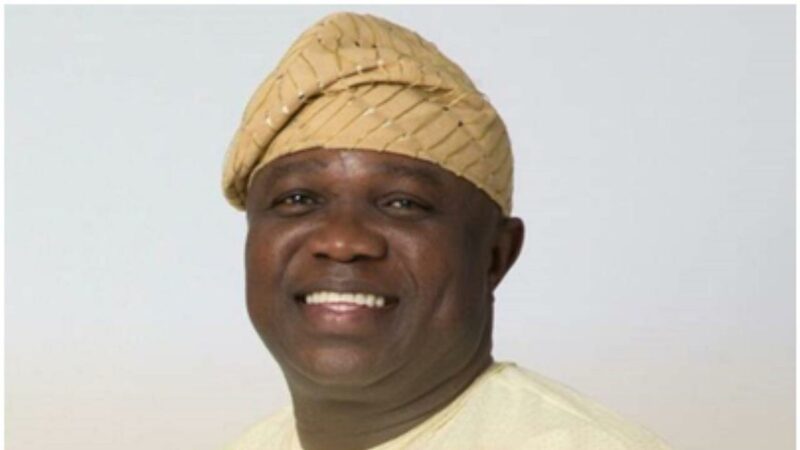 Cuts in…who are the Lagos indigenes for God’s sake? Go to Lagos Island and you will see that 80 per cent of those there are from Kwara State. Or are we going to talk about the Igbos who are everywhere. I think the issue of indigeneship has been settled. I am not saying Lagos is no mans land but the fact is Lagos is a cosmopolitan state and there is nothing anybody can do about that. It is one of the reason the state will continue to be ahead of others in term of development because it is a melting pot where things happens.